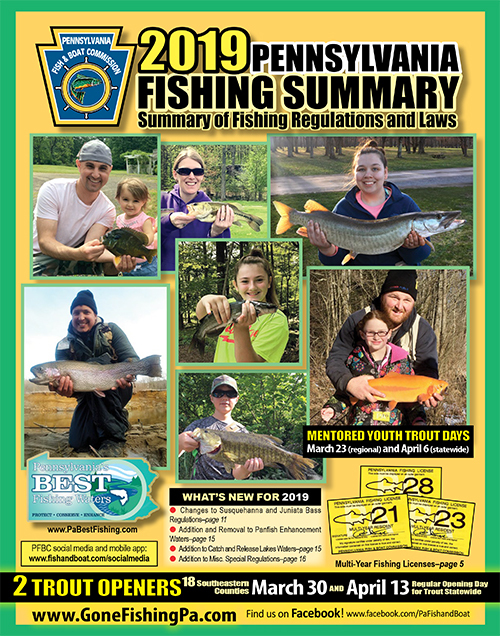 2019 adult trout stocking schedules are now available online and on the Pennsylvania Fish and Boat Commission’s “FishBoatPA” mobile app. 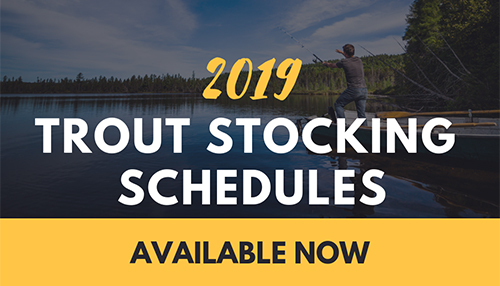 Included in this year’s stocking lists are the Keystone Select Stocked Trout Waters, a program where sections of 21 streams across the state are stocked with large 14” – 20” trout. Under the program, approximately 6,500 large trout will be distributed among the streams. The trout will be stocked at a rate of 175 to 225 per mile of stream, which is comparable to the numbers of similarly sized fish in Pennsylvania’s best wild trout waters. Locate Keystone Select waters here.